If the name of this site doesn’t give it away I love making things. I’ve made things since can remember and would often ask for material to make toys instead of buying them myself. There was just something much more immersive in building something than just playing with something. When I became an adult I wanted to keep making things: small toys, props, software, whatever, I just wanted to make stuff. So what would constitute the perfect 3d printer for me? Well there were several things for me to consider. In my experience 3d printers break more often than you would like and the availability of parts is something to consider. Because of that I wanted a printer that was made from off the shelf stuff. If something was going to break I wanted to be able to order a replacement without going through the original manufacturer, who might have a backlog of people waiting for their new printer or replacement parts. 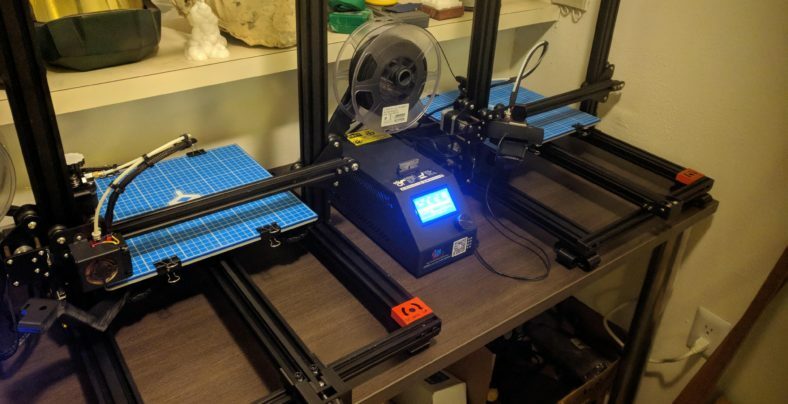 I wanted a printer that had a good community around it not just so I could find other people who are interested but because 3d printers require a lot of tweaking in both the slicing software and the physical hardware. 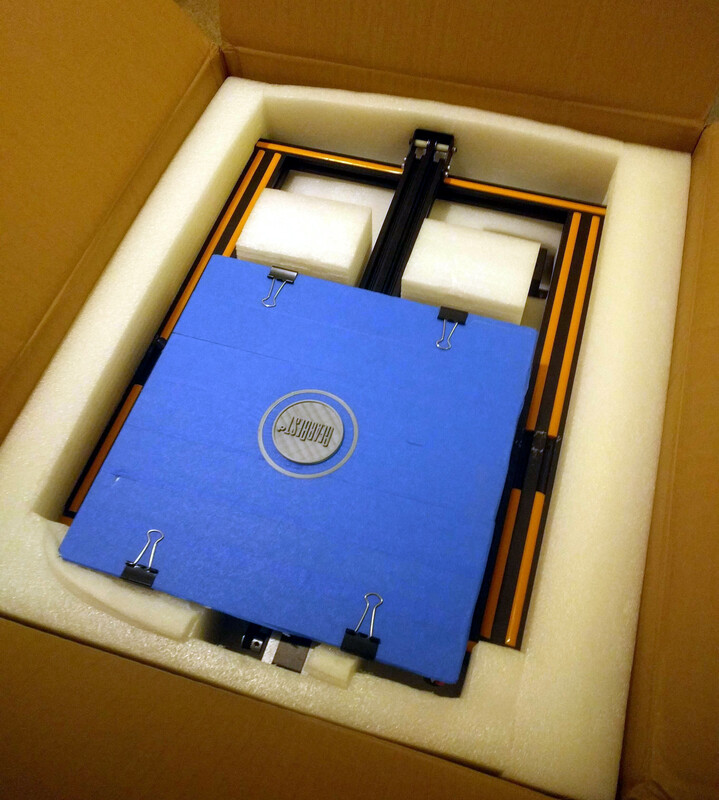 Additionally, printers with a large community tend to have a lot of after market upgrades you can buy that add new features to your printer that were never imagined by the manufacturer. Most printers have around a 200mm square build volume which is good for most things but I wanted to be able to print full helmets or props in one single print. It had to be as cheap as possible because this was a hobby tool not something I would use professionally. I expected to make no money on this printer ever. At the time I basically narrowed my selection to three printers, the ANET A8, the Creality CR-10, and the Prusa i3. I already had an ANET A2, which I was always disappointed with so the ANET was out. The Prusa got great reviews but had features I didn’t really need and was more than I wanted to spend on a hobby tool. The only option left was the CR-10, which got great reviews and had a massive build volume for the price. So I ordered one from Gearbest when there was a sale. The setup of a CR-10 is the simplest I’ve ever experienced. Short of pulling it out of a box and plugging it in I couldn’t imagine a simpler. The printer comes partially assembled. There are three main parts: the base, the gantry (? ), and the power supply + control board. It also comes with all the tools for assembly. Just screw the gantry to the base with some included screws, add limit switches to the base, and plug everything in. The entire setup took 20 minutes the first time and I’m sure I could get it down to 10 now that I have made 2 of them. I’ve been consistently surprised by the quality of prints this printer can make, especially for the price. The printing quality is on par with prints that came from $3,000 machines. Have I mentioned that the CR-10 is only $400 and most times you can find them on sale $350 and refurbished for $300. In short I’ve found the machine that, for now, will be my go to recommendation for people wanting to start 3d printing but not wanting to spend a lot of money. For the price point I can’t imagine improving on the CR-10 while still giving you a printer that is as expandable and easily modifiable.